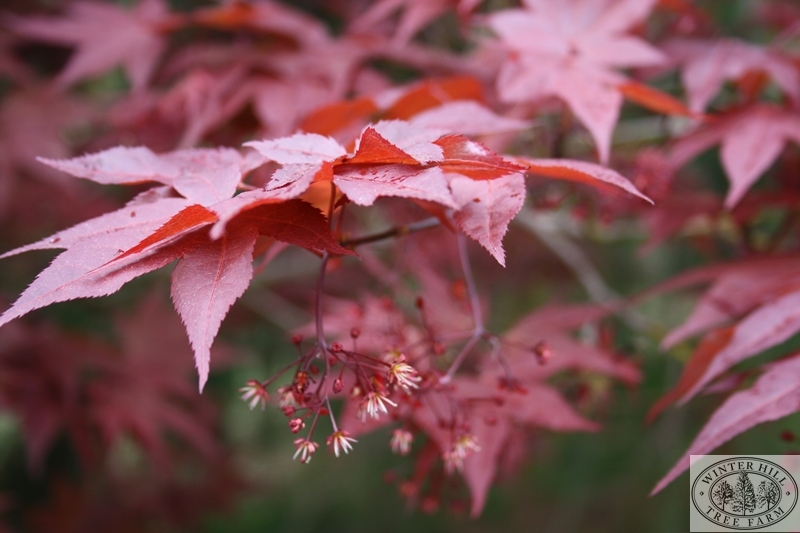 ACER palmatum 'Atropurpureum' - Bloodleaf Japanese Maple. Deciduous small tree. 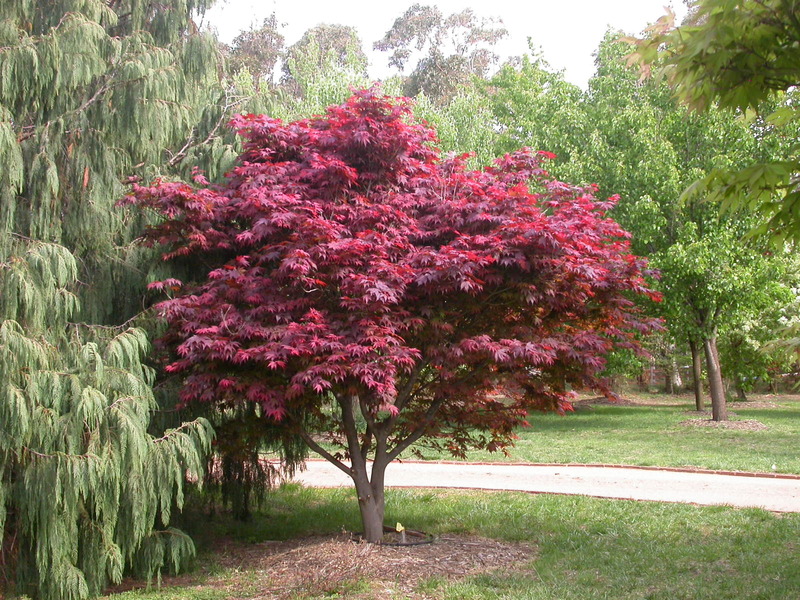 Rich purplish leaves in spring, becoming purple/green in summer and turning to lighter burgandy tones in autumn. Protect from harsh wind.